Honor the Craft, Change a Life. 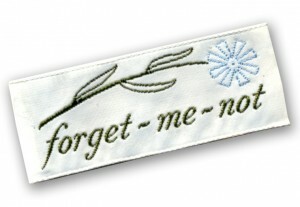 The Forget Me Not program is a lovely way to remember and honor the sewers in our lives. So many memories, so many stories surround the art of sewing. It could be a special memory of someone teaching us to sew, sewing something special for us, or perhaps a memory of someone to whom sewing meant so much. Sewing allows us to create and to share our love, stitch by stitch, with others. Families and friends may choose to remember a beloved stitcher with a donation to The Sewing Machine Project. Recently, the family of a quilter who had passed away suggested The Sewing Machine Project as a place to send memorials, thus allowing her memory to live on by giving others the chance to sew. Sewing guilds and community groups sometimes pool their resources with a donation to honor a beloved sewer. We thank everyone who makes a donation and helps us to sustain our mission. This page honors those in whose names gifts were given. Betty Evans in honor of Mr. and Mrs. Henry Frazier and Henry Frazier, Jr.
Cynthia Bradford in honor of menders everywhere, especially the Wednesday night menders! Cynthia and Charles Bradford in honor of Bird Ross and menders everywhere!